Achievement of industries in production and offering products depends on different factors like having an appropriate maintenance system. This issue should be reached through the most appropriate and practical methods. 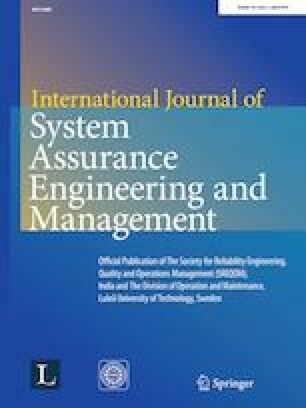 In this study, based on how the external parameters would influence the productivity of a maintenance system the researcher aims at designing a dynamic system model to analyze the productivity of a maintenance system using acquired information from a car device company by determination of the percentage of parameters and indexes and their influence on maintenance system productivity. The proposed model is simulated for a system with parameters of precise value according to fixed and variable maintenance policies which the results are represented. The results of different policies described by using computerized simulation of the prepared model on VENSIM software. The time horizon of the systems can be considered from several years to several decades. This research considered 12 weeks for analyzing the system. This time was specified by consultation with experts in the first session of modeling. In such environment a model of productivity evaluation and operation of maintenance seems required that in this research by analyzing influential factors on maintenance system productivity of a factory and by means of acquired samples, it was possible to measure the ratio of maintenance system operation condition according to the posed indexes and their influences on productivity operation. This situation shows that to the extent that positive indexes in the diagram are higher to the same extent maintenance system productivity of company increases.